At Eugene Smartt Solicitors, we strive to always offer the best value to our customers with affordable legal advice, whilst never compromising on service. From time to time we showcase Special Offers that are a perfect example of the value we strive to offer and that you will find hard to beat! Please see below for our current offers. 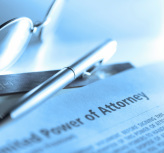 An Enduring Power of Attorney allows an individual to appoint Attorneys who will acquire certain powers over their affairs in the event that they no longer have the mental capacity to deal with such affairs. The power is not operational until registered and is dependant on certification by a medical practitioner. The price quoted applied to a property between €50,000 - €200,000 (for a property under/over this figure please call for a personalised quotation). 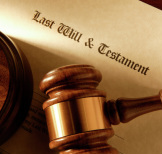 A will can provide for your affairs after your death and will give you the certainty that your wishes will be carried out.